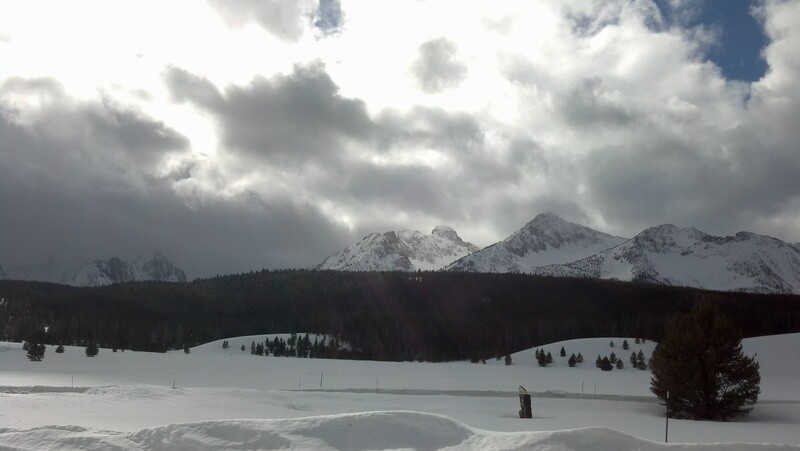 On our latest ski trip to Willams Peak Hut in the Sawtooth mountains, we had some weight considerations for meals. Snowmobiles would not be an option this time to pack in our gear. Instead we were looking at a 5-mile skin in, gaining approximately 1700 feet in elevation. Not unreasonable, but at the same time we wanted to look at ways to cut down our pack weights. It was already a group consensus that the hired-porter load of 50 pounds would consist entirely of hoppy beer, an essential item after skinning up and skiing down mountains all day. I chose to make Elk Stroganoff because of the use of noodles for weight and I felt it would be popular with our group. I highly recommend Country Pasta out of Polson, Montana, as they make great egg noodles. I hoped I could find dry solutions for both the cream of mushroom soup and sour cream. The ground elk, garlic, and onion were not where weight would be saved. Hopefully, it wouldn’t sacrifice too much on flavor. After searching the internet, I came across dehydrated sour cream. Seems with the “preppers” craze there is access to a lot of bulk dried foods. 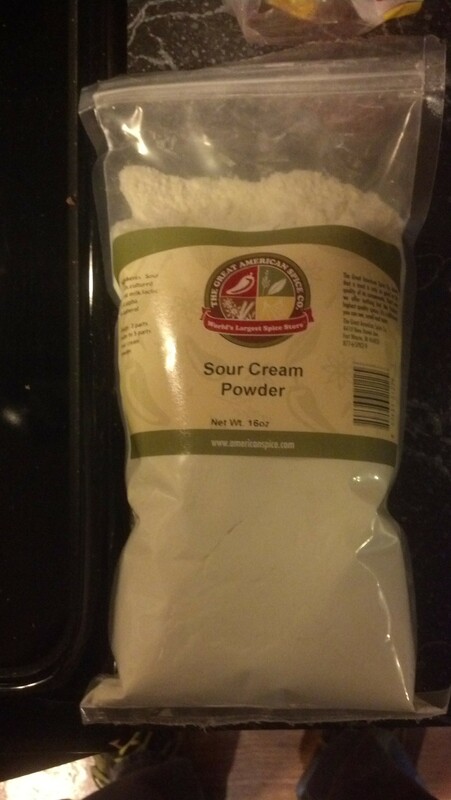 Sour cream powder certainly sounded different, but I mixed up a small batch, which tasted pretty much like sour cream. This might just work. Next I began looking around for dry cream of mushroom recipes. Turns out it’s fairly common for people to keep dry ingredients ready to go in a jar. The first recipe I made was cream of mushroom SOUP, which I should have expected, but when you make stroganoff, typically you use condensed soup. Back to the internet and I came across this recipe for cream soup, to which you can add mushrooms. This recipe was also more of a condensed soup and had better flavor. 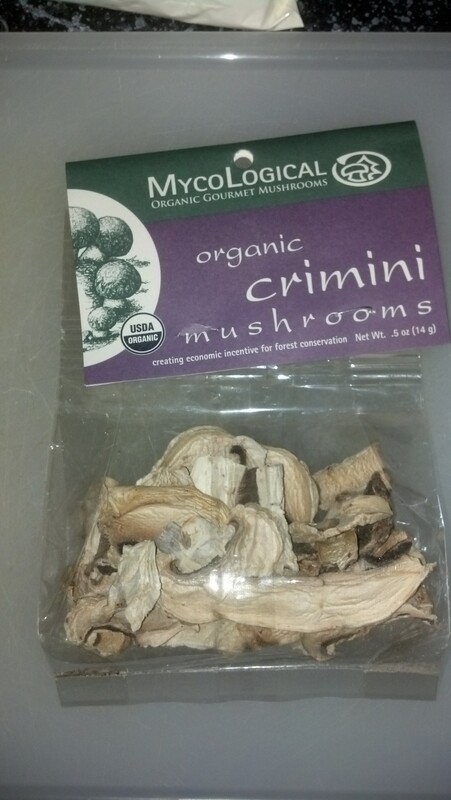 For mushrooms I was able to pick up dried mushrooms at the local Good Food Store. These work well and reconstituted nicely. When I had my recipe and ingredients dialed, I vacuum sealed everything into bags so they wouldn’t break or leak in the pack. The meal turned out to be very popular at the yurt even though I’m sure things always taste better after climbing mountains all day. Either way, I’d certainly make it again; however, I’d go with 3 lbs. of ground elk meat. Two pounds was barely enough for six guys. A 16-oz. bag and a half of another seemed to be a reasonable amount of noodles. If you ever need to reduce weight on a stroganoff meal, you should give this a try. Certainly not as light as dehydrated backpacker food, but it did taste better!